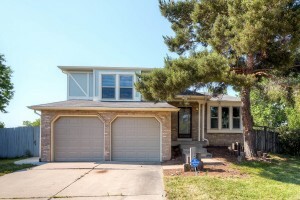 Just listed in Cottonwood of Parker for under $300,000, say what?!?! Join The Storck Team for an Open House tomorrow from 12-3! 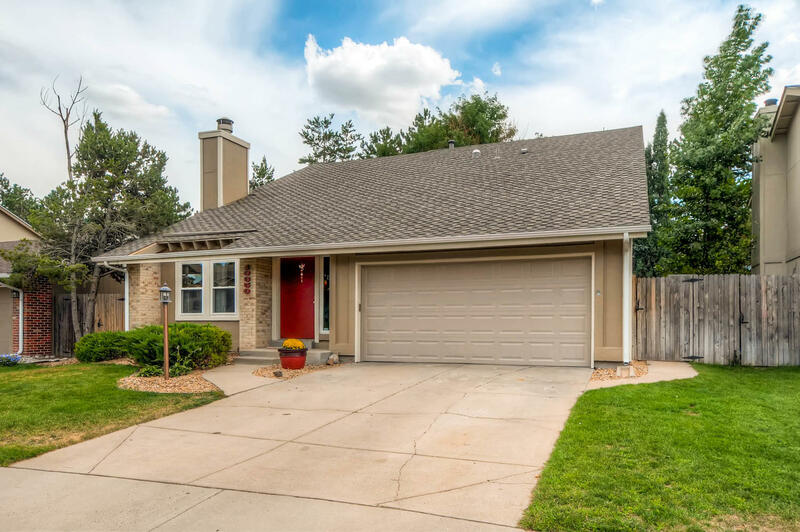 PERFECT OPPORTUNITY IN THIS 3 BED 2.5 BATH MOVE-IN-READY HOME OFFERED IN COTTONWOOD ON A CUL-DE-SAC. THE CURB APPEAL OF THIS PARKER GEM WILL CATCH YOUR EYE WITH ALL NEW EXTERIOR PAINT. IMMEDIATELY UPON ENTERING THE HOME YOU ARE GREETED BY AN ABUNDANCE OF NATURAL LIGHTING AND A WELCOMING CRISP CLEAN FEELING. WALK THROUGH THE FORMAL FAMILY ROOM WITH VAULTED CEILINGS WHICH FLOWS NICELY INTO THE KITCHEN AND DINING AREA ALL ON THE MAIN LEVEL OF THE HOME. 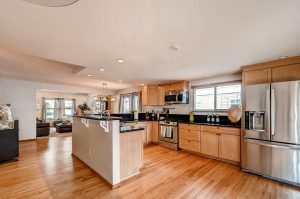 ENJOY COOKING AND ENTERTAINING IN YOUR NEW KITCHEN WITH PLENTY OF COUNTER SPACE INCLUDING BAR STOOL STYLE EAT IN SEATING IN ADDITION TO THE DINING AREA. TAKE A SHORT TRIP TO THE LOWER LEVEL OF THE HOME INTO THE LIVING ROOM WITH ACCESS TO THE BACK YARD AND DECK ALONG WITH A HALF BATH CONVENIENTLY LOCATED FOR YOUR GUESTS. UPSTAIRS YOU WILL FIND THE MASTER BED COMPLETE WITH PRIVATE BATH ALONG WITH 2 ADDITIONAL BEDS AND ANOTHER FULL BATH. SIP YOUR MORNING COFFEE ON YOUR BACK DECK AND LOOK OUT OVER THE COMMUNITY BIKE TRAIL AND GREENBELT. Must Do Home Repairs Before Putting Your House on the Market! As mentioned in the article “9 Vital Home Repairs to Complete Before Negotiating a Sale”, and I have to tell you The Storck Team has been running into some of this with our buyers as well, it’s a very good idea to run through some simple items that may come up on your home inspection. It will save you, and your buyer alike some headache to know what may come up in your inspection ahead of time. That way you can think it over before listing your home the items you may want to fix and the ones you may want to leave for prospective buyers. Windows – check your windows for fog and condensation, this is a sign of a broken seal in your window. This is huge for prospective buyers, and you can be almost certain that a buyer will ask for it to be repaired after inspection. Bathtub Leaks – Especially present with jet tubs, check your bathtubs for leaks. This might be an item that you can credit a buyer for instead of actually fixing, depending on the leak and the type of bathtub. Exterior Water Damage – check the siding and trim around your home for rotten wood. Any home that is 8 or more years old will likely have water damage to the trim and siding. Roofing Items – This is by far the BIGGEST DEAL to your potential buyers. Damaged or missing shingles on your roof are the fastest way to discourage your prospective buyers. If your roof needs repair, from replacing a few shingles to a complete replacement of your roof, it’s likely that you can claim the work necessary with your home owner’s insurance and just pay your deductible. Loose Handrails – Check both inside and outside from your banister to your indoor stairs to your deck. This is usually an easy fix. Gutters – check the flow in your gutters. If they are clogged this will definitely come up, especially in a wet Winter climate like we experience here in Colorado. Leaky Water Outlets – Check your sinks and showers, nothing should be leaking by the time you put your home on the market for sale. Light Bulbs – Both inside and out, if a light is out this will be questioned on your inspection. Something as simple as changing all your light bulbs will show your buyer and their inspector that your home is free of electrical problems. Heating and Cooling Systems – Replace all air filters in your home at a minimum. It’s a good idea to have your air conditioner and furnace cleaned and serviced, you can provide this invoice to a prospective buyer as one less thing they need to worry about while at the same time ensuring that your units are in proper working order! The more you know before you list, the less anxiety you will have around your buyer‘s home inspection. The peace of mind that knowledge around all potential issues in your home can provide is truly worth the money upfront of things that your buyer will likely ask you to fix anyway. Tatyana Sturm and The Storck Team have 10 years experience in Denver Metro real estate and have helped buyersin many different walks of life with finding their new home from the first time home buyer to seasoned investors all across Colorado. We have a true passion around finding you the best home for your lifestyle. Pleasecall or text The Storck Team at (720) 350-5909 or email us at thestorckteam@exitrealtydtc.com to start yourhome buying process with a knowledgeable and trustworthy real estate professional. The Storck Team is really excited about our listing coming to the market this weekend in Arvada at 7449 Pierce St. 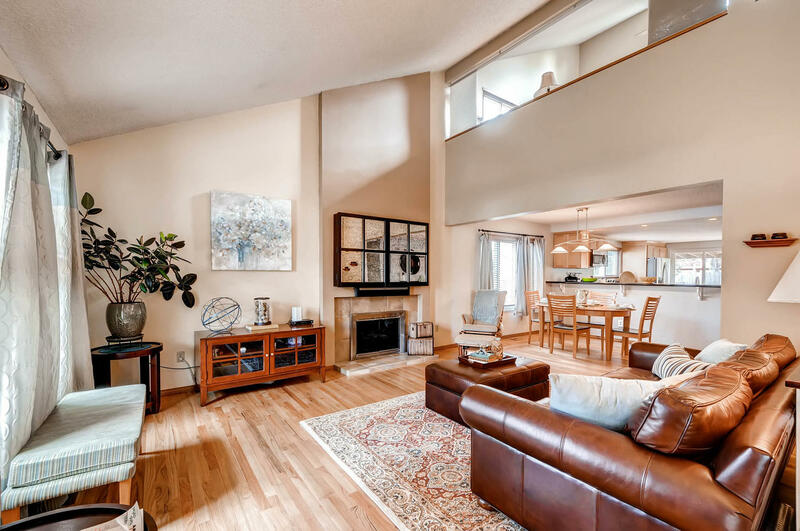 This home is completely remastered and in move in ready condition at it’s finest. Too many designer details and custom features to list. Please join The Storck Team for an open house this Saturday, January 31st from 12:00 to 4:00. Home for Sale Under Contract at Full Asking Price in Green Valley Ranch Just 3 Days on the Market! Just listed this last Friday January 23rd and already under contract after multiple offers at full asking price! We are so excited when we get these kind of results for our sellers. The Storck Team prices it right the first time and offers professional photography and video to our sellers. Tatyana Sturm and The Storck Team have been honored to serve the Aurora, Centennial, and Parker communities as the top 1% of Denver Realtors and recipient of the 5280 5-Star Award since 2010. We provide professional photography, video, and staging to our sellers. Our sellers make an average of $5,000 more on their homes and go under contract in an average of 5 days. We price it right the first time! Call or text Tatyana Sturm with The Storck Team today for your FREE market analysis and all of your local Colorado real estate needs.